Dine in luxury style with the Dante dining table from the Daytona collection by Signorini & Coco. Created by hand by experienced Italian designers, the Daytona Dante dining table combines classic craftmanship with contemporary style. The Daytona Dante Dining Table is a luxurious piece of furniture with exquisite use of mixed materials. 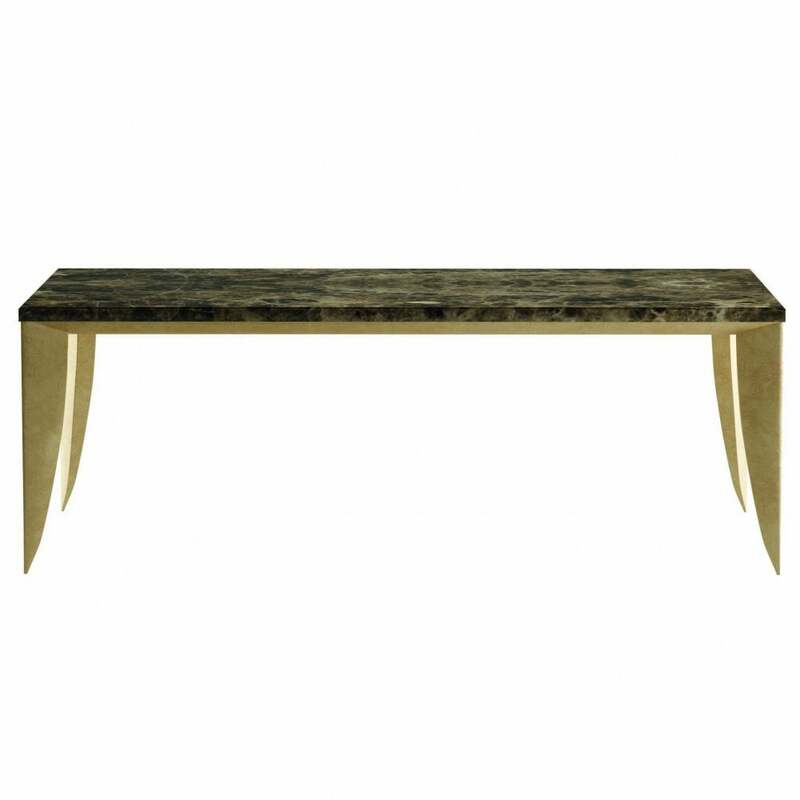 The linear burnished brass base extends upwards to a thinly veined polished marble surface. The juxtaposition of these beautiful finishes emulates an indulgent air of sophistication. Style the Dante dining table with complementing dresser and side table also from the Dante range in the Daytona collection.